Announcing this season’s recent monographs! CoLED member and this year’s director of UC San Diego’s Studio for Ethnographic Design Christo Sims has a new book out with Princeton University Press, Disruptive Fixation: School Reform and the Pitfalls of Techno-Idealism. The book takes ethnography as a critical mode of approach to the problem of design as a platform for innovation. Drawing on research in a “public school for the digital age,” Sims traces the hubristic impulse of design and technology’s commitment to innovation that constantly remakes the world, dubbing this modality techno-idealism. CoLED member and noted anthropologist of human rights and politics Nancy Postero (UC San Diego Anthropology) has a new book out with UC Press. 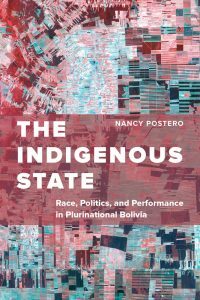 The book, The Indigenous State: Race, Politics, and Performance in Plurinational Bolivia, is available on the open access platform, and can be read online for free. The Indigenous State follows ten years of politics and the practices of decolonization following the election of Evo Morales, Bolivia’s first indigenous president. 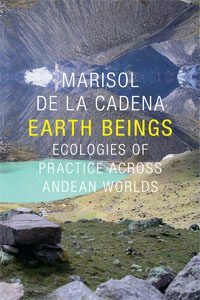 CoLED Member Marisol de la Cadena‘s (UC Davis Anthropology) new book, Earth Beings: Ecologies of Practice across Andean Worlds (Duke University Press), received warm reception at the 2016 AAA meeting. The book offers a sustained ethnographic engagement with the political worlds of a Quechua father and son, as a means to grapple with the incommensurability of ontological worlds. For a full list of recent books by CoLED members, click here. A number of CoLED-ers will be at the AAA this week, and we wanted to extend an invitation to a CoLED happy hour this Thursday in Minneapolis. We sadly won’t be footing the bill, but we will be gathering and providing company. From 4:30 to 6:30 on Thursday, we will be at Brit’s Pub, around the corner from the conference venue, for their happy hour. Please do come by, say hi, and share some food and drink. We look forward to seeing CoLEDers, colleagues, and making new acquaintances. Ishi: The Archive Performance is a new work written and performed by renowned Native American visual and performance artist James Luna. In 1911, an Indian man walked into a small northern California town. His appearance inspired fright, laughter, and pity from the populace. Anthropologists came to the conclusion that Ishi was the last of his tribe and decided that for his welfare and for the advancement of science, he would love out his remaining years as a living specimen at the University of California, Berkeley’s campus museum. Based on archival work, James Luna has created a powerful exploration of Ishi’s life, silence, and the the place that he should hold in the history and cultures of California. 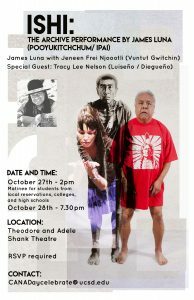 By James Luna (Pooyukitchchum/Ipai) with Jeneen Frei Njootli (Vuntut Gwitchin) and special guest Tracy Lee Nelson (Luiseno/Diegueno) at UCSD. ETHNOGRAPHY & DESIGN: MUTUAL PROVOCATIONS is delighted to list this event, payed for by the California Native American Day committee, and other sources of funding, as part of our conference programming. Because seating is limited, we urge conference goers who plan to attend the performance to RSVP. Kindly RSVP at CANADaycelebrate@ucsd.edu to reserve your free ticket. For more information about ISHI at UC San Diego, please contact Julie Burelle. Registration is now open to attend ETHNOGRAPHY & DESIGN: MUTUAL PROVOCATIONS, the first CoLED Conference, to take place at UC San Diego on October 26-29, 2016. We look forward to seeing you for this dynamic of panels, workshops, performances, and hands-on labs. Read more about the CoLED conference here. Congratulations to the recipients of the 2016 CoLED Summer Research Grants to support graduate students in the UC system conducting innovative ethnographic research as part of their masters or doctoral thesis work. The committee reviewed over 60 qualified applications, and awarded 12. Stay tuned for reports from the field from these bright emerging scholars. These grants are possible as part of the CoLED’s funding through the UC Office of the President MRPI program. 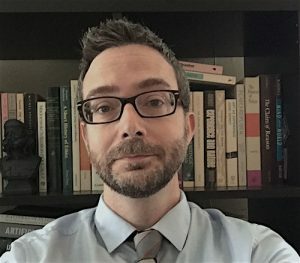 Congratulations to CoLED faculty member Keith Murphy (UCI Anthropology) who was named UC Irvine’s Professor of the Year for his work teaching undergraduates and mentoring graduate student instructors and TAs.